In this research, we want to develop a model for the multi-period joint ordering and incoming lot inspection decisions for an item in a manufacturing context where there is stationary stochastic demand. It is presumed that there is uncertainty over the quality of the raw-material supply which consequently affects the yield for the production of the end-product. Possible incoming lot inspection decisions are “%100 inspection”, “no inspection” or “inspecting based on a specific acceptance sampling plan”. Order placements and deliveries from supplier are periodic and ordering policy is order-up-to policy. Benefit of using such a joint model is to be investigated. Introduced by Markowitz in 1952, obtaining a portfolio which maximizes the expected return while minimizing the risk is one of the fundamental problems of financial mathematics. The original Markowitz problem utilizes variance for the measure of risk. However, due to its insufficiency in terms of some key aspects, more adequate risk measures have found their place in the literature. Resulting from the multiple objectives of the problem, in most of the literature it has been scalarized and formulated as a single-objective optimization problem. Furthermore, due to its multi-period nature, it has been usually referred as dynamic Markowitz problem in the case of variance, or dynamic mean-risk problem otherwise. However it is well-known that the scalarized versions of mean-variance multi-objective problem does not satisfy Bellman’s principle of optimality, thus conventional methods are not appropriate for time-consistency of solutions.Recent studies on the subject have introduced new approaches to the mean-risk problem and been able to obtain time consistent solutions. One that we are most interested in, uses a coherent dynamic risk measure, proposes not scalarizing the problem but preserving its multi-objective nature and design it as a vector optimization problem (VOP), whose objective function gets extended to a set-valued function. As a result time-consistent solution to the mean-risk problem was obtained.The main objective of our study is to obtain time consistent solutions to the original, mean-variance problem by applying a similar approach and formulating the problem as a VOP. However having the variance for the measure of risk compared to a dynamic risk measure, results with some critical problems arising. The most important one is time-inconsistency of variance due to its properties. Therefore one would not be able to use the same approach as mentioned and obtain time-consistent solutions. For this reason, we are investigating a novel formulation to the problem and expecting to attain time-consistent solutions through this novel formulation combined with the VOP approach. Systems that utilize renewable energy have the disadvantage of dealing with sources that are often irregular and intermittent. Hybrid systems aim to circumvent this issue by using various renewable energy sources and energy storage simultaneously. One such system is a hybrid system that implements a pumped-back pumped hydro storage (PHES) and a renewable energy production plant together with the objective of total profit maximization from energy commitment decisions. Formulation of this optimization problem, involving Markov decision processes and multi-stage stochastic programs, requires several input models: the electricity pricing model, the wind speed model, the streamflow model, and the solar radiation model. The aim of this project is to find the proper input models that will be used in the main profit maximization problem that provide the best representation of real life data by utilizing data analysis and other mathematical modelling techniques. In recent years, unmanned aerial vehicles (aka. drones) have become increasingly popular in commercial sector, so that delivering packages using drones along with the traditional trucks started to gain attention for logistics companies. Those companies aim to reduce their overall logistics cost, delivery times, energy consumption and further to be able to deliver to places whose transportation infrastructure is inadequate. For that purpose, a two-echelon delivery system where both trucks and drones are involved, is constructed and modeled. However, computing times grow rapidly when number of nodes increase. Thus, the goal of this study is to develop a heuristic algorithm to drone delivery problem. We consider multi-objective integer programming problems. We aim to design an objective space based solution algorithm that generates the whole set of non-dominated solutions. We will first consider three objective integer programming problems and then extend the algorithm for any number of objectives. A number of variants will be developed and compared through computational experiments. One of the major problems that online retailers face is the split order problem. A split order occur when a retailer cannot satisfy the order by sending all the SKUs in the order in one shipment. The reason behind this is basically the unavailability of all the SKUs in the same warehouse. Because of the limited capacities of the warehouses, it is not possible to have all types of SKUs in every warehouse. The aim of the project is to minimize the number of the split orders to reduce extra packaging & shipment costs, and the delivery time. In the literature, this problem is studied in two different ways. In the first approach, it is assumed that the unit-based capacity of warehouses is unlimited, and it is only necessary to find the most appropriate assortment of SKU types for each warehouse. In the second approach, the capacity is thought as the unit-based capacity, and it is required to find the optimum amount for each SKU to stock in each warehouse. However, both versions of the problem are NP-hard. For this reason, previous studies are based on heuristic approaches. In this research project, it is aimed to come up with an optimization model which can be used to minimize the split order problem with a great number of SKUs for any version of the problem, or construct heuristic approaches that can compete with the existing literature. Benson’s approximation algorithm is designed to solve convex vector optimization problems in the sense that it approximates the whole Pareto frontier. At each iteration, the algorithm solves a vertex enumeration and a convex optimization problem. Vertex enumeration is used to find the vertex representation of a polyhedron (current outer approximation of the Pareto frontier) given by its half-space representation. Convex optimization problem is solved for each vertex of the current polyhedron. It finds the minimum ‘distance’ between the vertex and the Pareto frontier through a given direction, which is fixed through the algorithm. The first objective of this project is to implement a vertex enumeration algorithm that uses the double-description method, to employ it as a subroutine within Benson’s algorithm, and to examine the effect of the new subroutine on it. Secondly, by using the structure of the new vertex enumeration subroutine, we aim to modify the direction parameter of the convex optimization problem that is solved in each iteration and to analyze the performance of this variant of the algorithm. In emergency medical services of Turkey, medicines as medical materials are also important for patients’ health. The emergency medical services and hospitals keep stock of most of the medicines. Nevertheless, there are some medicines which are called “rare medicines.” These medicines can only be found in specific cities in Turkey and in the specific types of hospitals. The training and research hospitals/3rd step health institutions are the hospitals that locate rare medicines. The types and the number of the medicines change with respect to the type and frequency of the incidents that occurred in the cities/or areas. When any city demands the medicine, it is transported from the located city to the demanding city. The most remarkable attribute of this system is that the emergency ambulances (red stripped ambulances) transport these “rare” medicines from the training and research hospitals in the specific cities. The ambulances cannot go across the border of the city that the ambulance belongs. This means that the ambulances meet at the border for transportation between the cities. In this study, we focused on the logistics problems in the rare medicine transportation system in Turkey. The aim is to allocate the demand points/83 districts to the training and research hospitals in 30 cities and find the locations of the medicines that reduce the transportation distance of each medicine. The research project involves a portfolio optimization problem with different risk measures. For this reason, it is expected to learn how the portfolio management is made by 2 and more assets for finding the optimal set of assets which has greater return for investor. Due to this, this project aims to involve coherent risk measures in order to develop a different approach to the model. Firstly, this research project aims to formulate a model with allowing short selling. This approach leads to derive an analytical solution with KKT optimality conditions. Secondly, when short selling is not allowed, a numerical solution will be found. All of these conditions will be compared with a computer solution after having added size constraints to the problem. All in all, this project aims to implement coherent risk measures in various portfolio optimization problems with different constraints (i.e. size and shortselling constraints). 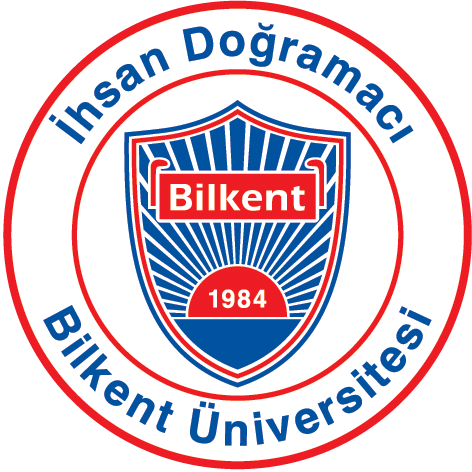 In this project, it is expected to develop an automated system for final exam timetabling of Bilkent University and to research for other possible methods that can be utilized for exam timetabling problem. A graph coloring method and a heuristic method is used in the current system. The first step of the research project is to make the current system more automated through CPLEX Concert Technology in Eclipse as a Java code. After this automation, new methods are going to be tried and compared with the current solution method. The aim of our project is to create a system for predicting real estate prices for use by valuation agencies, banks or the government. This work will help evaluate the fair market value of real estate. For this purpose, we have examined the relationship between the fair market values and attributes of the properties that have been subject to real valuation reports in the past periods. Our dataset includes information about properties in districts of Ankara that were subject to valuation reports. However, the dataset does not have a proper structure and includes lots of missing values. We have dealt with these issues and proposed a RandomForest model for price prediction. Currently, we are working on building NeuralNetwork model for better price prediction. It is important for companies to predict whether their employees will quit since they invest time and money on them. Data from a leading large national company is obtained to analyze employee decisions. Various statistical models of employee decisions is constructed to analyze the leading factors and predict the employee decisions such as quit or stay. People’s choices of attending lunch rely on different factors. Some are dependent on their schedules, while some individuals are more selective in their decisions and check the daily menu before going to cafeteria. Some, on the other hand, are hardly found on campus at holiday times. Can we establish a model that distinguishes people according to their preferences? In other words, can we determine which person is recipient to which factor, and therefore predict their patterns of going to cafeteria for lunch? In this study, we are going to investigate answers of these questions by analyzing Bilintur’s data and trying to predict individuals’ behavior of attending lunch by the help of different models. One of the recent synthetic biology applications is inserting the synthetic genes into the host organisms for protein expression. Codon preference (codon usage bias) of the host organisms has a significant effect on the level of protein expression. The purpose of the codon optimization is to find a codon sequence that enables an efficient protein expression in the host organism under certain constraints. In host organisms, rare codons reduce the protein expression level. Therefore, our aim is to alter the rare codons with codons that have higher frequency of use, while eliminating the forbidden motifs (subsequence of codons) and ensuring the preferred ones. In this research, our objective is to develop an effective mathematical programming formulation to find a codon sequence that has maximum Codon Adaptation Index (CAI) subject to these constraints. In food service operations, reliable and accurate forecasts of food item demand play a key role in production and scheduling decisions, resource allocation, controlling costs and maximizing profit. In Marmara Restaurant, lack of a systematic forecasting procedure and utilization of naive forecasting techniques result in increased incidences of over- and under-production of menu items. Accordingly, this leads to customer dissatisfaction, waste of resources and loss of capital. The purpose of this study is to collect and analyze the data through statistical methods and to develop a forecasting model that will most accurately predict the meal participation at Marmara Restaurant. A broad spectrum of data including weather forecasts, menu contents, exam dates, academic calendar, holidays will form the key inputs in the model. When the demand in a time series is intermittent, widely used forecasting methods such as exponential smoothing often result in unsuitable stock levels due to the zeros in the demand pattern. In the literature, Croston’s Method is mostly used to handle intermittent demand. This project aims to introduce a new model to be used for forecasting where the demand pattern is intermittent and the demand quantity is random, which will help to prevent shortages or excess inventories by o_ering more accurate predictions. We assume that demand quantities and inter-arrival times are independent, and focus on predicting interarrivals in this paper. We measure the performance of our model in terms of mean absolute error of the inventory position and compare it with the performance of Croston’s method. This study focuses on the effect of demand response on the sizing of solar and wind energy sources to meet the agricultural energy demand. Real demand, solar and wind generation data obtained for India shows that solar generation is more coherent with agricultural energy demand than wind generation. Therefore, less demand shift is observed in solar case, and demand response reduces more curtailment in wind case. Moreover, the need for total dispatchable source declines initially but inclines afterward in response to increasing demand shift period to reduce the total system cost. Furthermore, we compare demand response and storage options and find that if the utility firm invests in demand response programs instead of storage systems, incentive amount to be given is between $1.35/kWh and $4.05/kWh in solar case and is between $2.68/kWh and $10.89/kWh in wind case. Among a variety of methods that are developed in order to solve multiobjective optimization problems, Harold P. Benson introduced an outer approximation algorithm which aims to generate the Pareto frontier (the set of all non-dominated points in the objective space) of linear problems. Extending Benson’s algorithm and a dual variant of it, primal and dual algorithms are developed by Lohne, Rudloff and Ulus to approximate the Pareto frontier of convex vector optimization problems. In each iteration of the primal algorithm, a `Benson-type scalarization’ is solved, where a direction vector from the interior of the ordering cone is fixed and the minimum step-length that is required to hit the Pareto frontier from an outside point while moving along this direction is calculated. As a result, the performance of the algorithm varies with the choice of the direction. The aim of this project is to propose a variant of this algorithm by modifying the Benson-type scalarization problem such that no direction from the interior of the ordering cone is fixed. The aim of this project is to verify the proposed algorithm and the Matlab code. To verify the proposed algorithm, comparisons are made between the original algorithm and the proposed algorithm by solving different numeric examples with each version. The resulting error values, CPU times, number of vertex enumerations done and number of optimization problems solved are considered while comparing the two versions. Hypervolume indicator is proposed as future work to be used as performance measure to compare the two versions of algorithm. has increased signi_cantly in the past few years, they have started to gain more attention in the commercial sector, since it is becoming increasingly efficient to use those vehicles as a part of the parcel delivery network along with traditional trucks . Companies have started to consider deploying drones for their logistics operations and last mile delivery. The aims of deploying drones for the last-mile delivery are obtaining reduced delivery times, having less courier cost, spending less energy and reaching to the areas having inadequate transportation infrastructure. Although drones are preferable in terms of those factors, drones have some characteristics restricting using solely them on the delivery networks such as limited battery life, carrying capacity, fight range and endurance. According to UNHCR reports in 2016, 795 million people are suffering from chronic undernourishment all around the world. Moreover, 161 million children under five years old experienced growth failure in 2013. Since the beginning of the millennium, more than two billion people have been affected by disasters and conflicts. By the end of 2016, it is approximated that the number of refugees will increase to 66 million throughout the world. Given the increasing number of natural disasters, conflicts and chronic famines in recent years and massive damage that these incidents have led to, the need for humanitarian aid drastically rose in the last decades. Consequently, humanitarian aid supply chain gained importance in the scientific community. Our motivation in this research project is to model and solve a practical problem arising in planning food aid programs. From tactical perspective, we are going to try to amend beneficiaries’ welfare and decrease the cost function focusing on distribution and procurement areas while concerning with perishable food aid. Humanitarian relief operations are often associated with providing physical goods (in-kind donations) to people who are in need. However, humanitarian relief scene is significantly altered by recently developed cash-based initiatives that provide cash & vouchers to people instead of goods. These programs are growing quickly and they are being used in many humanitarian operations. The purpose of our work is to provide a structured analysis of cash&voucher distribution methods and develop a hybrid model which will be used to analyze which delivery method to use in different settings. In a financial network, the interconnectedness among financial institutions and society is of great importance. The models aiming to measure and allocate the systemic risk in a financial crisis can take the society into account as a separate entity which has its own response to a financial shock. This is presented by Ararat and Rudloff by introducing two types of dual variables which are probability measures for each of the financial institutions and probability measures for the society in the dual representations for systemic risk measures. These probability measures can be considered as the possible models reflecting the way institutions and society act in a financial crisis. In this model uncertainty context, a penalty is incurred for each choice of the model reflecting how much it deviates from the true model for the financial system. This penalty is computed as the deviation from the true probability measure of the financial system, e.g. relative entropy. This project aims to find the optimal response in order to minimize the systemic penalty function in terms of relative entropies. First, the optimization problem will be formulated on a finite probability space, then, it will be extended to general probability spaces where the optimization problem becomes infinite-dimensional. In both cases, analytical solutions as well as computational issues will be considered. multi-state reliability system (MSRS) is a system where the components go through several states starting from 0 to N where 0 refers to failure and N refers to the best possible state. Modeling a system as an MSRS enables more control over the system in terms of maintenance policies and reliability analysis. However, due to the system size, K (the number of components) and the multi-state nature of the components, deciding on a maintenance configuration or the initial design can be an arduous task as the size set of possible configurations increase rapidly as a function of N and K. This set of possible configurations can be reduced to a smaller one with the use of Pareto or ɛ-dominance concepts considering the reliability of configurations. We propose such reductions using the system reliability function. Further work will be on reducing the set according to different objectives or according to alternative risk measures. In our research we will investigate safety stock placement approaches in multi-echelon systems under supply uncertainty and deterministic demand. Our base model considers safety stock placement for two service models, available in the literature: guaranteed service model and stochastic service model. Our first goal of the research is coding these general service models so that modifications can be evaluated. Secondly, terms for the service models will be obtained using the special structure of supply uncertainty models. Finally, we test the findings for alternative configurations. company concerns. Vertex enumeration problem is to find the vertices of a convex polyhedron which is defined by linear inequalities. The aim of this project is to implement an alternative simplex-type pivoting algorithm to solve the vertex enumeration problem. Moreover, we want to extend this algorithm to solve the ‘online’ vertex enumeration problem. Lastly, this study also aims to compare the efficiency of the proposed algorithm with the existing vertex enumeration algorithms. Demand side management is an emerging concept with potentials to reduce the load variability for utility companies, decrease electricity bills for the customer, and increase the reliability of the system. We develop a model to supply different load patterns such as residential, agricultural irrigation, and industrial with renewable energy sources like wind and solar. The model includes various control policies to decide how much of the demand should be shifted while considering the flexibility of the load type. Assortment is defined as the set of products that a firm offers to its customers. Assortment optimization is to determine a firm’s assortment to maximize its profits. In order to formulate an assortment optimization problem, one needs to understand how customers make purchasing decisions given an assortment. A widely used model for this purpose is the Multinomial Logit (MNL) model. The aim of this project is to study assortment optimization problems when the economies of scale in ordering the items that are offered by the firm are also considered and when the customer choice is governed by MNL. The problem will be formulated as a mathematical program and the effect of various factors on the assortment and resulting profits will be investigated. Syria has been battling through one of the most tragic civil wars of the history since 2011. Unfortunately, many of the Syrians displaced as the war started to get more violent. Turkey has been the country that helped the refugees the most by trying to give them food and shelter in refugee camps, located mostly in Southern East region. These refugee camps provide public services, such as healthcare and education for both children and adults. On the other hand, these camps require logistic organization of these services to schedule the visiting periods and routes of the medical staff and teachers in order to keep track of the services. In this project, the main aim is to come up with a model that can construct routes and schedules for the staff visiting the refugee camps considering some restrictions, such as frequencies of visiting a camp or assigning dedicated servers. We are going to focus on periodic routing following the existing Periodic Location Routing Problem (PLRP) models in literature. However, unlike the current PLRP algorithms that requires the schedules to be predefined, we are going to drive a model that can define the schedules while routing these services. This paper studies the concepts of certainty equivalent and risk premium used in mathematical studies of economics and finance. There exists substantial work in literature that defines and calculates these concepts by using different methods and functions. Although some of the studies contained multi attributed functions as a subject to work on, the certainty equivalent and risk premiums are introduced as scalar valued functions. The aim of this research is to introduce the vector and set valued definitions of certainty equivalent and risk premium. The relationships, equations, theorems and computations regarding these new forms are to be analyzed within and compared with the previously introduced scalar valued functions in literature. The computation of these vector or set valued concepts will be done via convex vector optimization techniques. Orienteering is an outdoor treasure hunting game that expects the competitors to visit maximum number of control points and return to the specified control point within the prefixed time limit. Since all of the control points have associated scores, the aim of the game is to maximize the total score. Team Orienteering Problem (TOP) is closely related to Travelling Salesman Problem (TSP) and Selective Travelling Salesman Problem (STSP). However, with the existing methods, it takes a lot of computing time to solve all of these problems of a limited size. Therefore, there are several common approaches focused on greedy approaches, heuristics and metaheuristics in literature. In previous studies it is seen that people use variable neighborhood search (VNS) algorithms, simulated annealing (SA) based metaheuristics, cutting plane algorithms, construction heuristics and insertion heuristics in solving the TOP. In addition to these methods, according to literature, it is possible to see the usage of the variations of all of the previously mentioned heuristics and recently generated heuristics such as Ant Colony Optimization (ACO) algorithm in solving OP. Therefore, the aim of this study is to develop an alternative heuristic approach to the orienteering problem by using the existing heuristics on this topic. We develop a bi-objective two stage stochastic programming model for a stand–alone hybrid renewable energy system. The electricity is generated by renewable energy sources such as hydropower, solar and/or wind. A diesel generator is included as a back-up source to increase reliability. A bi-objective optimization model is used to find the optimal component sizes of this hybrid renewable energy system, considering cost and reliability aspects. In this study, we consider a two-stage game of investment in environmental quality and quantity competition with two manufacturers. The firms are able to offer perfectly substitutable products with limited budgets. However, if a firm makes an investment for the eco-label issued by a third-party certifier, then the firm benefits from consumers’ increased willingness to pay for its product. The thirdparty certifier aims to improve the environmental (or social) quality of the products without increasing the total production quantity. The certifier determines the target levels of environmental quality for the firms to obtain eco-labels if they invest. Our objectives in this research are to analytically characterize the subgame perfect equilibria, and through an extensive numerical study to investigate the environmental impacts of different eco-label designs, such as the labels of the pass/fail form and labels with multiple tiers. Inventory management for blood products is a complex problem due to the perishable feature of blood and uncertain demand rate. High level of inventory may cause wastage of blood. On the other hand, blood shortage can cause severe results especially in emergency cases. The aim of this research project is to use integer programming tools to solve the problem of inventory management of blood products at hospitals. Two-stage stochastic modeling is more useful than deterministic modeling where there is an uncertainty in the nature of the problem. Considering the random events and how their probable results affect the solution provide more valuable solution rather than ignoring the uncertainty. In two-stage stochastic programming, the decisions which must be made before the uncertainty is resolved are first-stage decisions; on the other hand, the decisions which are determined based on the realization of the uncertain event are second-stage decisions. In the literature, there are some studies on two-stage stochastic programming for single objective problems. However, for some cases, there can be more than one objective to be optimized. We are going to propose an efficient solution method for multi-objective two-stage stochastic linear programming and obtain numerical results on a pricing problem in electricity market. Boggle is one of the famous boards games based on finding as many as possible meaningful words from 4×4 grid under a certain time constraint. As the number of letter increases, memory and time problems arise and the focus of this study is to tackle these problems with analytical methods. Mainly, two approaches are available to deal with the problem: supervised and unsupervised learning. Supervised learning is implemented with using rule based algorithms and uses only human expertise. In other words, supervised learning utilizes prior human knowledge and does not enable computer agent to learn by itself and independent decision ability. On the other hand, unsupervised learning does not impose the computer agent on certain predefined rules, rather computer agent learns from its previous experiences such as which sequences of letters are more likely to constitute a meaningful word. Therefore, unsupervised learning might be better to understand structure of the words since it does not depend on only human knowledge. Reinforcement Learning and Approximate Dynamic Programming literature might provide significant insights into how use unsupervised learning. In conclusion, purpose of this study enable computers to process and analyze string data to understand natural language patterns and seek as many as possible words from dictionary. Online social networks have become a very significant communication medium. Stream of information through online social media has become easier. However, this situation may be dangerous due to the possible spread of malicious news and misleading information flows. It may be necessary to block such flows from reacing further destinations. To deal with this issue, we model an influence minimization problem on networks. Our aim is to decrease the influence at a certain time by removing the connections between nodes. We model the diffusion using linear threshold and cascade models. We propose integer programming models for the single period problem and present the results of our computational experiments. Wireless mesh networks (WMNs) are communication networks that provide ‘last mile’ Internet access to users. They consist of radio nodes that are organized in a mesh topology and communicate via wireless media in a multi-hop fashion. In order to lower deployment costs, gateway nodes have wired connections to Internet, and the rest of the nodes deliver traffic from the users in their coverage regions to these gateway nodes. The objective of this project is to develop cluster-based heuristic solution methods for such WMNs. In the first stage, we intend to develop effective clustering methods and alternative gateway selection and routing methods for each cluster, and to compare these methods in terms of performance and computational intensity. In the second stage, we intend to improve the solutions obtained by the methods of the first stage by local search techniques. These improvements will be in the form of transferring some nodes from clusters that are operating at full capacity to neighboring clusters with spare capacity. The heuristic solution methods resulting from this project will be compared with the heuristic solution methods from the literature. As these new methods have the potential to solve realistically sized systems, the project is expected to contribute in terms of both real applications and scientific publications. In some of the cases disasters follows each other (e.g. a tsunami after an earthquake) or there are large-scale disasters in neighbourhood of each other if not correlated. This project aims to manage the distribution of resources among separate disasters to reduce the firefighting in aforementioned cases using multiple-criteria decision making methods. Post-Earthquake damage assessment system will be designed with the objective of collecting information about the disaster affected regions and the roads that have great importance. This design will also take into account the budget/vehicles allocated to the assessment and the inspection time. Aim is to create routes for information collecting vehicles that visit as many as disaster affected regions with high priorities by using the important connections with respect to time and budget constraints. In the project we consider a transportation consolidation problem for e-retailer companies that has two types of services: regular and premium. Regular service basically guarantees a delivery time. However the premium service has negligible delivery time where it has a close enough inventory to the customer. When the shipment decision is made, the truck is filled with both regular customer orders and the selected items for the inventory. Our goal is to create simulation models which reflect the actual system and implement different policies in order to determine the most beneficial one for the company concerns. Reduction in carbon emissions gained importance in recent years as sensitivity on environmental issues has increased. Companies are expected to regard environmental objectives as well as the economic ones while taking decisions. To motivate them, different carbon emission regulations are implemented such as carbon cap and taxation. In this research we analyze a supply chain between the manufacturer and the retailer under the presence of different carbon emission restrictions. Specifically, we study the integration of production and transportation intervals under a carbon sensitive environment. We focus on a system where multiple transportation modes are available and it is possible to switch modes. Under this consideration, we analyze inventory, production and transportation operations. This project is a continuation of the IE490 project we worked on. The study is based on managing congestion caused by the delayed flights at airports. Due to capacity, mechanical constraints and other reasons flights have to face important amounts of delays. These delays may result in more critical problems when an airport has to operate as in its peak almost all the time. Air traffic flow management approaches are utilized to reduce the effects of congestion for the airlines and passengers, as well as providing safe, efficient and effective solutions to these problems occurring as a result of delays. We propose an approach that reschedules flights for an airport. One important issue in decisions to alter schedules is fairness. It would not be fair to think about all flights as identical and minimize the total delay. Each flight has different number of passengers, belongs to a different airline and has connections at different times. From this angle, we concentrate on fairness measurements, as well as the trade-off between more standard performance measures and fairness. We model the rescheduling problem as a mixed-integer programming model. We consider a general formulation which can be utilized by an airline, by a central authority (air traffic control), or by any agent that may have a part in the fairness of new schedule. We run our model for a real-life case represented by limited data and compare with current practices reported in the literature. In this study, we consider the application of risk-averse SVM to classify the patients as having cancer or not. Although SVM classification is closely related to structural risk minimization, in regular SVM, misclassification error considerably increases for noisy and corrupt data due to overfitting (Tsyurmasto et al., 2014). Risk-averse SVM is able to prevent overfitting in the training data, therefore, gives better results in the test data. The aim of this study is to apply risk-averse SVM with different risk measures and different degrees of risk-aversion to colon cancer data and to compare it with regular SVM. This study compares the effectiveness of different risk measures in the selection of efficient portfolios. Optimal multi-asset fund portfolios based on the Turkish fund market data are evaluated under certain coherent risk measures. In order to find such portfolios, these risk measures are used in the risk constraint of the portfolio optimization problem which is formulated as a mixed integer nonlinear program. Lastly, the report aims to maximize expected return on portfolios formed in the Turkish Fund Market domain and also construct a market analysis in order to determine and show underlying correlations between certain asset groups. We study the inventory replenishment problem in a single-item system with nonstationary demand and partial information. The probability distribution of the demand undergoes Markovian transitions over time. However, the state of the distribution is only partially observed through the actual demand values. We model the problem as a partially observed Markov decision process (POMDP) with continuous state space for beliefs. We then consider an average cost in infinite horizon problem with full backordering, and linear holding and backorder costs. We use approximate dynamic programming via discretization of the state space, seeking cost- effective, and computationally efficient, heuristic policies. Performance of a system can be measured by the performance of its subsystems or components. Time to failure of a component determines its performance. Reliability of a system is defined as the probability of working (not failing) during a given time interval ([0, t]). State of a component of the system is described by a random variable. In the binary case, this random variable takes values 1 (not failing until time t) or 0 (otherwise). Structure function of a system is also a random variable (a function of the component states) that reveals the condition or the state of the system. If the component states are described by binary variables, then the structure function also takes only 1 or 0 values corresponding to working or failure condition. The aim of this research project is twofold: First we want to describe the state of a system of components, when the component states are described by discrete random variables that take finitely possible values. This modeling allows describing the state of a component in more precision and is more realistic to describe the real world performances of physical and nonphysical systems as they tend to degrade before failing. In this case, multi state representation of components, subsystems and systems becomes useful and necessary for a better analysis. Under this more realistic assumption the first aim is to describe the structure function of the system and find its probability distribution. The second aim of our project is to introduce alternative risk measures for such systems and find optimal risk reduction policies that provide a desired improvement in the risk measures with an optimal cost. In this project, an inventory replenish system with single item, non-stationary demand and partial observation will be examined. Demand will depend on Markovian transitions over time. We will develop polynomial approximation algorithm to find cost-effective basestock policies. In many to many distribution systems, hubs serve as special facilities which consolidate and disseminate flow between interacting locations. The flow between hubs is discounted due to economies of scale. Hub location problems deal with determining the locations of hubs and the allocation of nodes to hubs. Campbell et al. (2005) introduces a new approach to this problem by locating hub arcs instead of hubs and defines the q-hub arc median problem which aims to minimize the total cost. Using this approach we define hub arc covering problem and q-hub arc center problem. The objective of hub arc covering problem is to minimize the number of hub arcs, therefore hubs, while making sure that cost between all origin and destination pairs does not exceed a predetermined value. Reversely, q-hub arc center problem aims to minimize the worst case cost when the number of hub arcs is given. In this study, we intend to develop integer programming formulations and test them using CAB and TR data sets. Due to the variability and intermittency of wind power, operating a wind power plant has become a significant challenge for electricity generating companies. Energy storage system (ESS) has been considered in the literature as an effective supplement to the wind power plants to smooth wind power fluctuations. In this study, we propose a dynamic programming approach which accounts the Turkish Electricity Market constraints and uncertainty in wind power and price. In this problem, our aim is to compare different policies and determine the one which maximizes the daily profit of ESS integrated wind power plant. In this study a single period multiple item random demand inventory problem is considered with advanced carbon purchase option. It is assumed that at the beginning of the period 1, advance purchase of carbon emission permits is made before demand and and the new carbon trade prices and the demand are realized at the beginning of the period 2. The aim is to find the optimal allocation of the inputs and the carbon trading policy. This model has been studied before with limited applications and limited carbon price structure. In this study we plan to model the carbon price data using real carbon data over the years 2008-2012 and find the optimal input allocation and advance purchase policy. We study the inventory replenishment problem in a single-item system with nonstationary demand and partial information. The probability distribution of the demand undergoes Markovian transitions over time. However, the state of the distribution is only partially observed through the actual demand values. We model the problem as a partially observed Markov decision process (POMDP) with continuous state space for beliefs. We then consider a finite horizon problem with positive lead time, full backordering, and linear holding and backorder costs. We approximate the problem via discretization of the state space, seeking cost- effective, and computationally efficient, heuristic policies. Most airline revenue management applications assume that demand for a fare product (or fare class) does not depend on the availability of other products (i.e. the demand for each fare product is independent of the control policy aplied by the airline). However, this assumption does not fully reflect the reality, since customers are imperfectly segmented. This means they can choose to buy a higher-class fare if discount classes are closed (buy-up) or if available, a lower class fare can be sold to a customer who was willing to pay more. To address these issues, we use maximum likelihood estimation (MLE) method for a single-leg yield management problem to predict the consumer choice behavior, more specifically the probabilities that customers buy each fare product. Later on, we model this multiple fare-product problem as a discrete choice model to determine the optimal control policy. We consider a two-level grid network design problem for rural electrification where the intermediate transformers are to be located on a continuous two-dimensional space. The objective of the problem is to minimize infrastructure costs composed of transformer and cable costs by solving both the transformer location problem and the network design problem in a single optimization framework. In this study, we develop variants of a heuristic algorithm for L1 and L2 norms and compare them in terms of objective values and running times. We also propose mixed integer programming models of the problem for L1 and L2 norms and compare the results of the heuristics with the optimal solutions from these models for some small instances of the problem. In this study, a joint replenishment policy for a periodic review inventory model composed of N perishable and substitutable products is investigated under the assumption of stochastic lead time. It is assumed that for each type of product, there is a fixed shelf life of L which corresponds to its perishability and any unit that reaches the specified shelf life will be disposed of. Products show the properties of consumer-driven substitution, i.e., a customer may substitute another product if his/her first preferred product is not available. Costs are charged for holding, setup, shortage and outdating. The objective function is the expected total cost. The aim is to minimize the objective function under the aforementioned assumptions to determine a joint replenishment policy. The parameters used in the assumptions and the determined policy are tested against real life data of a retail store. Remanufacturing is the process of restoring used products to like-new serviceable condition. Remanufacturing is a popular production strategy in many industries including, but not limited to, defense, automotive, and consumer electronics. Although popular in practice, managing inventory in a remanufacturing system is rather difficult under both supply and demand uncertainties. In this study, we consider a remanufacturing system that holds inventory for both serviceable products and used products (or cores). We develop a periodic review inventory model under random demands and returns, and seek a control policy that specifies, given the system state, the number of serviceable products that should be produced, the numbers of cores that should be collected (or disposed) and remanufactured, and the number of demands for cores that should be satisfied (or backlogged). Reduction in carbon emissions is becoming an emerging topic as customers become more sensitive to environmental issues. Companies are expected to decrease the carbon amounts they emit in inventory, production and transportation operations. To motivate them to do so different carbon emission regulations are maintained such as carbon cap, taxation and cap-and-trade. In this research our aim is to consider carbon emissions while planning in a supply chain system. Specifically, we would like to maintain the integration of production and transportation in a carbon-sensitive environment. A single supplier-single retailer system under deterministic demand is considered. Different academic studies on the subject of synchronization of production and transportation will be taken as references and carbon constraints under different regulations will be added. The aim is to observe how the relation between production and transportation cycle is going to change in the presence of carbon restrictions. This study compares the effectiveness of different risk measures in the selection of efficient portfolios. Optimal multi-asset fund portfolios based on the Turkish fund market data will be evaluated under certain coherent and convex risk measures. In order to find such portfolios, these risk measures will be used in the risk constraint of the portfolio optimization problem and placed in the mixed integer program which will be developed for the corresponding optimization problem. We consider an airline operating under the hub and spoke policy: All airplanes fly on spokes between destinations and the hub. Airplanes arrive at the hub in waves, and passengers transfer to their connecting flights when all airplanes are on the ground. Routing all traffic through the hub makes the overall system more efficient as the average airplane utilization increases and more frequent flights are possible. However, interchanging planes and waiting for the connecting flights at the hub can be frustrating for the passengers. It is also possible that the connecting flights are on the following days incurring overnight staying costs. In this work, we assume that we have N airplanes each with capacity c, and we try to schedule flights to minimize the number of passengers waiting between waves or staying overnight at the hub. Our project is based on the congestion caused by the delayed and cancelled flights at airports. Flights are assigned to specific slots primarily however it is not possible to perform as planned because of many reasons such as; weather, delay at other flights, aircraft problems. In these situations it is needed to reschedule flights and use the capacity of airport efficiently to decrease the delay amount. However they can’t make these changes according to their own will. There is a central authority controlling the plan and deciding on the necessary adjustments with the aim of minimizing delay and cost. Cost of a delay increases tremendously (non-linear) as the delay time increases, as delay in one flight can cause problems for many other activities such as: handling of luggage, aircraft connections and passenger connections. One important issue in this decision is fairness. It would not be fair to think about all flights to belong to the same airline and minimize the total delay. There exists a challenging competition among airlines, and a solution should be fair for the airlines. A standard approach can affect some of the airlines more than the others, hence a trade-off between minimizing delay and fairness should be taken into account. There are several ways to reschedule slot allocation but we narrowed our problem as the rescheduling of slot allocation from the view of a central authority to minimize delay with fairness criteria. Our goal is to form models with different (or combined objectives) and test their results. In most real-life cases, realization of order on pre-determined times and in required amounts is not guaranteed. As supply chains are subject to disruptions on account of machine breakdowns, shortages in raw material etc., the yield of a production system may not be certain. In an environment with supply uncertainty, both the supplier and the buyer firm will be influenced. In this study, we examine a single-item, periodic review model with an unreliable supplier and a buyer firm with deterministic demand in an infinite horizon. The supply process is assumed to follow the Bernoulli distribution, where supply is either completely available or completely unavailable. When disruptions occur, the order is backordered to the next available period. In this setting, we investigate the decisions on both the buyer’s and supplier’s point of view. In this project we plan to develop a model to help with preventive healthcare facility network design considering accessibility options for the user. We aim to incorporate the choices of individual users in our model. Using the model we develop, we would like to investigate the effect of changing user preferences (i.e. easing the access to a facility) by incurring some extra service cost. Several papers were analyzed and the problem is planned be modelled as a variant of Maximal Covering Location Problem (MCLP). This study intends to reduce the insufficiencies in a floricultural auction company’s network. The company has six different auction centers which enable the seed growers to deliver their products to the center that they want and to choose the center where their products to be auctioned. After growers indicate the center that their products are going to be auctioned, products are delivered to those destinations before the auction time. The quantities of the sold products are not predetermined, at the end of the auction, after random demand is realized sold products are sent to the buyers’ boxes which may be placed at the any auction center. The transportation of the products back and forth between the centers, both before and after the auction, causes complicated and redundant flows in the company network and costs loss of time and money for the company. In order to eliminate these losses, it is aimed to minimize risk- adjusted transportation cost considering the uncertainty of the demand. The problem is already defined and modeled by using risk-averse two-stage stochastic programming in a master’s thesis (Sezen, 2014). In that study L-shaped method (Benders decomposition) is employed to solve the suggested risk-averse problem. The purpose of this study is to employ partial L-shaped method, where some of the second stage constraints are kept in the master problem in order to provide more information for the real problem, and compare new results with the previous ones. Due to the variability and intermittency of wind power, operating a wind power plant has become a significant challenge for electricity generating companies. Energy storage system (ESS) has been considered in the literature as an effective supplement to the wind power plants to smooth wind power fluctuations. In this study, we propose a dynamic programming approach which accounts the Turkish Electricity Market constraints and uncertainty in wind power and price. In this problem, our aim is to find the optimal daily operation strategy for ESS integrated wind power plant which maximizes its daily profit. Wind energy has become a crucial field of study, especially in the countries having high potential of wind energy production such as Turkey. In Turkey, the installed wind energy capacity is just 3.11 percent of the total capacity; however Turkey has plans for future to increase the usage of the wind energy and to fulfill its 48 GW potential. In order to integrate wind energy into the large power systems, and to take the advantage of wind power production, it is important to forecast the expected hourly wind speed accurately. There are several forecasting techniques such as meteorological, traditional and artificial intelligence methods that have its particular advantages and disadvantages. Generally, meteorological models do not give accurate results, traditional methods assume the future values of time series have linear relationship with current and past values and some artificial intelligence models possess their own defects and drawbacks. In the view of the limitations of traditional and artificial intelligence techniques, this paper proposes a hybrid modeling approach to forecast hourly wind speed. By using hybrid modeling system, different methods are combined in order to improve forecasting quality compared to the respective single techniques. With this motivation, the 81 province of Turkey’s wind speed data for the years between 2009 and 2014 are obtained from TÜMAŞ (Türkiye Meteorolojik Veri Arşiv ve Yönetim Sistemi) and started to be analyzed. Data are also used to establish a hybrid forecasting model for the future hourly wind speed. A hybrid energy system that consists of solar panels, hydropower stations, diesel generators (to be used as an expensive backup source) and transmission lines is proposed in the Ph.D. dissertation of Dr. Ayşe Selin Kocaman with a case study in India. (Essays on Infrastructure Design and Planning for Clean Energy Systems by Kocaman, Ayşe Selin, Ph.D., Columbia University, 2014, 224 pages; AAT 3628950) Aim of that study is to design the power stations and the transmission lines in a most cost effective way while satisfying the energy demand. Due to intermittency of renewable energy sources, such as variability in stream flows, this system is modeled as a two-stage stochastic linear programming problem. However, in that study the decision makers are assumed to be risk-neutral and since the system construction requires large amount of investment, it is crucial to consider the risk-averse case. Therefore, in our research, we would like to add conditional value at risk measure (CVaR) which focuses on minimizing the expected value of extreme costs. Since large number of scenarios will be considered in this study, the L-shaped method will be used for solving the risk-averse model. In the last years, the increasing energy demand and concerns about the environment have led decision makers to find new ways of satisfying the needs. One of the approaches that has gained popularity recently is switching from centralized to decentralized power systems. However, this transition could be difficult when conflicting objectives are involved. On one hand, burning fossil fuels provide required energy at a low cost, yet with high CO2 emissions. On the other hand decentralized systems using renewable energy sources satisfy the demand with little impact to the environment, but the investment and operation cost of the system are high due to advanced technologies. In order to deal with the multi-objective optimization problem and guide the decision makers, a two-stage stochastic optimization model has been developed. Total cost of the system is trying to be minimized while CO2 emission level is kept at a certain level by using ɛ-constraint method. Finally the model proposed here is simulated by using data from Turkey and the results are discussed. The replacement of an existing product with a new one presents many practical challenges. In this research, we consider the problem of timing a new product launch when there is a transition period in which the new and the old product types can be offered simultaneously; i.e., a product is not necessarily replaced by its next generation counterpart immediately. Assuming that the demand for each product generation is driven by where the product is in its life cycle, we aim to determine the optimal delay in new-product introduction using a dynamic programming formulation of the problem. Hubs are special facilities which connect a set of interacting nodes and serve as switching points. Hub location problem deals with the allocation of nodes to hubs in a way that total cost or distance is minimized. Campbell et al. (2005) introduces a new approach to this problem by locating hub arcs instead of hubs and proposes models for four special cases of q-hub arc location problem. In this research, we aim to construct better models for q-hub arc location problem and we also plan to analyze the q-hub arc covering problem which has not been defined in the literature yet. A disaster is defined as “a sudden, calamitous event that seriously disrupts the functioning of a community or society and causes human, material, and economic or environmental losses that exceed the community’s or society’s ability to cope using its own resources” by The International Federation of Red Cross and Red Crescent Societies. The problem that consists of selecting temporary shelter areas for people who lost their homes after a disaster is one of the crucial problems in disaster relief. This problem is known in the literature as the shelter site location problem. The selection of the eligible sites for shelter areas is customarily done a priori to a natural disaster. However, depending on the type and severity of the disaster, the amount of sheltering needed may vary significantly. For that reason, it is important to hedge uncertainty when such a selection is defined. This work aims at capturing uncertainty in the shelter site location problem and it is aimed to propose a chance-constrained model in which the probabilistic constraints are associated with the service level as well as with the minimum utilization rate that is required for making use of a shelter site. A logistics hub is a facility that is designated to deal with activities related to organization, consolidation and transshipment of goods in many-to-many distribution systems. The hub location problem in network setting aims to find the locations of hub nodes and allocation of the demand (non-hub) nodes to these located hub nodes. The goal of the project is developing a heuristic method for a hierarchical multimodal hub location problem with a ring(s)-star-star (R- S-S) structure in a cargo delivery network. This work proposes an analysis framework to determine the location of field hospitals and the distribution of the patients to the existing roads for medical service planning through earthquake. Two mathematical models are used in order to find the most usable field hospitals and the number of patients that goes to hospitals through specified roads. Apart from the similar researches, this study uses an online application that takes the instant data from the real world which involves the number of patients, the existing and field hospital capacities and in case of insufficiency, the number of patients that uses air-transportation. The objectives of the models are to minimize the total travel time which uses a weighted parameter in order to compensate for the non-served patients. The research is studied for the Istanbul data and can be used for any city. The first mathematical model tries to find the most suitable field hospital locations in terms of accessibility. After finding the field hospital locations, an up-to-date data about hospital capacities and number of patients is taken from the responsible posts via an on- line application. Arc-Gis is used in order to calculate the average travel time between locations and this data is used in second mathematical model to determine the number of patients going from a patient location to a hospital. The model is solved continuously in order to create a more practical advises for decision takers. C-plex and Excel is used for mathematical model solutions. This framework is used in order to form a decision support system for transportation problems in medical service planning after an earthquake. In the concession stands in movie theatres, it is possible to observe high demands (peaks) in short amount of times, especially before the movies and during the breaks. The aim of this research is to turn this time-varying demand into staffing requirements and schedule the shifts by considering the tradeoff between profit and a certain level of service at the same time. A queueing and an optimization model will be used to solve the problem. Although the research is originally based on the concession stands, it can be also applied to other service areas as well. We address coverage control problems for multi-agent systems in a mission space with obstacles. These agents, sensor nodes, operate in a distributed fashion employing only their local information. These problems are non-convex, hence suffer from multiple local optima. In order to escape any local optimum, a boosting function approach that modifies the gradient values is proposed. In this approach, the main idea is to alter the local objective function whenever the equilibrium is reach to explore poorly covered areas of the mission space. Different families of boosting functions are simulated. Based on the simulation results, the performance of families are compared in terms of improving the objective function and the number of iterations. The effects of parameter values, number of nodes and obstacle configurations on their performances are also studied. In 2007, only approximately %12 of Kenya’s 8 million households were connected to national grid and another %2-4 access electricity using alternatives sources which shows the lack of access. In this research, our aim is to find the optimum spatial electricity planning by implementing the Geomanns and Willimson’s algorithm for PCST (Prize Collecting Steiner Tree) which has a variety of applications for local access network design to Kenya case. Then, the obtained results will be compared with ones of a paper published in 2009 in which a modified version of Kruskal’s minimum spanning tree algorithm is used. Disaster preparedness and immediate response are essential in terms of reducing the impact of disasters. Specifically during an earthquake, immediate actions play a vital role since a considerable amount of people who die during an earthquake could have saved if first aid had interfered immediately. An immediate response system is needed in local municipalities to protect the well-being of individuals more effectively. The paper will focus on optimizing the damage assessment and immediate decision making processes in local municipalities. Municipality of Çankaya will be used as pilot in order to implement the disaster response system. The research is in the area of natural language processing which uses statistics, machine learning and linguistics to derive meanings from human languages. We study the problem of identifying meaningful sub sentences from compound sentences. The outcome of this problem has potential applications in several natural language processing areas such as topic modelling, sentiment analysis. In this research, our aim is to find an unsupervised methodology for solving the problem. The main concept that we focus on this project is school districting application in Turkey. This application includes different types of models WTS, WTRS, DWTRS, CumWTRS and D-CumWTRS. The suitable algorithms will be generated and used to solve current models separately. The Vehicle Routing Problem concepts will be used to solve the problems. We will solve the problem with real data for specific area which is determined before. The result of this application directly depends on the problem parameters. Therefore, we will generate a JAVA code which will be help to solve problem for different problem parameters. The purpose of this research is to increase the throughput rate of the item sorting process in the warehouse owned by Ekol Logistics. The first phase of the project involves building a simulation model of the semi-automated sorting system in the warehouse by using the Arena Software. In the following phases, an improved order batching strategy, in terms of sorter efficiency and system time of sorting process, will be suggested through building a mathematical model. Optimal bundle formation and pricing by retailers requires knowing the joint distribution function of the reservation prices of customers, that is, how much a customer is willing to pay for each product. In practice, this information is unknown, and the uncertainty around the reservation-price distribution makes the optimal bundle composition and price questionable when this uncertainty is not accounted for in the optimization model. Assuming that the retailer has access to the price and purchase information at each customer transaction, we propose a joint estimation-optimization approach that accounts the uncertainty in the joint reservation-price distribution while making product bundling decisions. A wireless mesh network (WMN) is a communications network made up of radio nodes organized in a mesh topology. WMNs provide cost-effective solutions for the communication in a certain geographic area as only a small number of radio nodes, called gateways, require wired connections. Traffic from clients is forwarded to gateway nodes in a multihop fashion to connect to the Internet. An inherent problem of WMNs is that simultaneous transmissions on the same frequency channel may interfere with each other preventing successful communication. Hence, interfering transmissions have to be scheduled at different times and on different channels. In this study, we jointly consider gateway placement, routing, and transmission slot assignment problems for WMNs. We present alternative formulations for our optimization problem and compare them in terms of the problem size, solution time and solution quality. Mechanistic force coefficients in milling processes are typically determined by performing a linear regression to the mean force values with feed per tooth values as the independent variables. The linear regression approach, however, yields only a point estimate of each force coefficient and may require a large number of data to obtain a certain confidence. In this work, we use a Markov chain Monte Carlo method to update the prior information around the force coefficients as the new observations from physical experiments or process simulation accumulate. This allows us to characterize the uncertainty in the force coefficients. We also extend our analysis to milling processes in micro scale. This project involves discovering effective methods for improving the order batching process of the warehouse in Istanbul owned by EKOL Logistics. In general, this problem is critical for warehouses since order batching is often the most costly process that affects the whole system in warehouses. The goal is to minimize the total duration of processes at the warehouse that are in relation with the order batching process. While realizing this goal, mathematical programming will be the primary means. This research investigates the implementation of branch and cut algorithms for the split delivery vehicle routing problem (SDVRP). In SDVRP, contrary to the classical vehicle routing problems, the demand of each customer can be fulfilled by several vehicles. Hence SDVRP is a relaxation of the capacitated vehicle routing problem. To solve SDVRP, there exists different approaches based on relaxed formulations which provide better bounds to the optimum. In this study, we analyze the solution approaches for SDVRP and try to improve the existing valid inequalities and branch and cut algorithms. In this study, we propose a Lagrangian relaxation based heuristic for the Load Balanced Facility Location Problem. In this problem, there are both lower and upper bounds on the demand allocated to a facility. We give an integer programming model and apply Lagrangian relaxation. The relaxed problems are two sided knapsack problems. We solve the relaxed problems using dynamic programming and develop a heuristic based on the relaxation. The earthquake which occurred on August 17th disaster management. In the result of this experience, it is obvious that Turkish Armed Forces will have an important role in the new disaster model. There are many plans which deal with the chaos, which is going to appear after the possible “Big Istanbul Earthquake”. However, there is no plan about what will be the procedures if the hospital capacity becomes insufficient, how to locate the patients in the hospitals, which hospitals should be central hospitals in the result of such a big earthquake. This paper aims to save the amount of people as much as possible by using “the Turkish Air Force”s capabilities efficiently, for a situation which is possible to happen. Ruszczynski (2010) used dynamic measures of risk to formulate risk-aversion in discrete-time Markov Decision Processes with finite and infinite horizon. In this study, we use this approach to model risk-aversion in a dynamic portfolio optimization problem. The problem we consider aims to find an optimal policy that maximizes a Markov dynamic risk measure of the total return of a portfolio over a finite time horizon and uses conditional mean-semideviation as one step conditional risk measures. We then replace the objective function with expected utility (see eg. Howard and Matheson (1972)) and compare the results of both risk-averse models. We use simulation to obtain the empirical distribution of the total return for both cases. Hub location is a relatively new subject in location problems literature and there are few papers dealing with uncertainty in hub location problems. In this study, we use a polyhedral uncertainty description of demands. We provide a linear MIP model for the hub location problem under polyhedral demand uncertainty. We use the hose model and report the results of computational experiments. Taking carbon emission levels into consideration is essential for businesses, as being environmentally conscious plays a vital role for overcoming global warming problem. In this study, we are looking into the effects of the implementation of a cap and trade policy into a warehouse dispatching system. We mainly try to analyze the trade-off between carbon emission levels, and customer satisfaction depending on the delay of the goods. As we see a growth in the number of environmentally conscious customers, who demand producers to decrease their carbon emissions, we also need to understand how implementing carbon emission policies would affect the customer end. Thus, studying this relationship would help businesses greatly to understand the interaction between newly trending factors with the traditional system. The aim of this research is minimizing the cost in such a system that functions under a cap and trade policy, and other cost variables. In this study, the impact of time dependent partial backordering is investigated under a periodic review (s, S) policy. It is assumed that the demands arrive as a homogeneous Poisson process when as long as on hand stock is positive. However, during a stockout period, the unsatisfied demand is partially backlogged with a decreasing probability that depends on the remaining replenishment time. This arrival pattern leads to a non-homogeneous Poisson process. Under these assumptions, the expected cost rate function is derived by incorporating holding, backlogging and lost sales costs. The impact of various backlogging probability functions will be investigated and numerical examples will be given to illustrate the model. In this study, a time dependent partial backordering policy for an inventory system is considered under a newsvendor setting with a single period of length T. The starting inventory is denoted as Q. Demand arrivals are assumed to follow a Poisson process as long as on hand stock is positive. The demand during a stock out period is backlogged with a certain probability depending on the remaining replenishment time. Several functions regarding the impact of the remaining replenishment time on backlogging will be considered. Unlike the related works in the literature, we also consider time depending backlogging cost. Expected cost function will be derived. The aim is to find the optimal values of (Q,T) that minimizes the expected cost. Numerical examples will be provided. To solve scheduling projects, there exists three basic models. CPM/PERT for scheduling activities of a project based on predefined activity durations and precedence requirements, ignoring resource availability and allocation, and costs. Time-Cost Trade Off analysis using linear programming, which ignores resource requirements. Lastly, Integer Programming models to allocate scarce resources to activities, which minimizes duration and ignores costs. It is necessary to use all three models recursively to obtain a practical and economic schedule. The new approach proposed in this study consists of a single model that provides a solution satisfying all three purposes. Increasing levels of greenhouse gases in the atmosphere and its implications have become an imminent concern for a plethora of parties. As a member of the developing world, Turkey is no different. Whilst environmentalists strive to maintain the ecologies intact, corporations are searching for alternative methods to ease the restrictions on their carbon footprints. Although afforestation projects are being invested in currently, they do not properly take into account the carbon aspect. This study endeavors to provide a location selection model optimizing the carbon sequestering capacities of newly planted forests under a limited budget. Natural parameters such as rainfall, soil type, compatible tree species and artificial parameters like forestfire precautions, maintenance costs and frequency are considered within the scope of the project. Global warming due to greenhouse gas(GHG) emission is one of the most controversial topics of 21st century. Concerns related to carbon emission are gaining attention at ever-increasing rate and becoming the subject of lots of heated debates. Many countries already committed to decrease their carbon emissions which ultimately force big retailer companies to reconsider their supply chain models. There is a large literature on cost minimization of supply chains which includes inventory, backorder, transportation of goods(from both customers’ and retailers’ perspective) and location. However, an emerging concept, carbon emission, is rarely included in the papers which we believe, has a huge potential to open new areas of investigation. Our aim is to develop a new model in order to integrate a carbon emission as a new component in our decision making process. Governmental decisions or company’s voluntary commitments to reduce carbon emissions plays crucial role in our analysis. The model under certain market regulations such as carbon cap, carbon tax and cap-and-trade will be examined. The regulation is an important factor to decide how to integrate carbon emission in our system i.e. either as objective or constraint. At this point we expect that transportation mode, number of stores, location of stores and stock policy are likely to play crucial role on how to structure the optimization problem. In this research, we consider the newsboy problem with carbon and price sensitive customers and multiple inputs. We assume that the production quantity has multiple inputs with different costs and carbon emissions. It is also assumed that the customers are environment conscious. The potential link functions that connect the random demand to carbon footprints will be investigated and the optimal production and input mixture will be determined under several demand functions. In the case of sudden environmental disasters, post-disaster evacuation is a critical issue because there is limited time to transport victims to safety, which is defined as shelters that have accommodation units, food, water and medical supply. In order to evacuate victims quickly, it is reasonable to utilize the shortest path to an available shelter. However, this approach may result in traffic congestion in some roads which yields slower speeds, longer travel times and vehicular queuing. Therefore, traffic congestion should be taken into account during the determination of evacuation routes. Indeed, since evacuation routes and location of shelters are interrelated, traffic congestion is also a relevant factor in selection of shelter locations. The aim of this study is to propose a maximum road capacity calculation that prevents traffic congestion and incorporate road capacities into evacuation route and shelter location optimization.